Over the past six months, NYFC has added some incredible individuals to our roster of staff, board members and advisors – and we aren’t done yet. Please join us in welcoming our newest teammates: staff members Leanna Mulvihill and Derek Denckla; board members Brian Depew, Clayton Harvey, Jacqueline Lewin and Nicole Shore; and advisory council members Mark Justh, Michel Nischan, Andrew Rotherham and Karen Washington. Welcome to our team! Derek Denckla joined NYFC as our Deputy Director of Investments and Partnerships. Derek comes to the organization with experience as an impact investor, community organizer and social entrepreneur. He founded and led Slow Money NYC, North East Foodshed Finance Alliance and initiated Foodshed Investors NY, the first angel investor network in the US funding small, local and sustainable food business. He has provided consulting and private equity to projects like Egg Restaurant in New York City, Windowfarms, Mouth.com, Red Hook Community Farm, Local Farms Fund and Blue Marble Ice Cream. 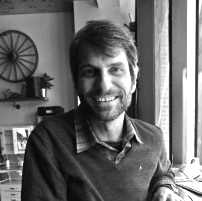 Through 2010, Derek ran a green real estate development company that built Greenbelt, Brooklyn’s first LEED Gold project. Derek holds a JD from Fordham University and a BA from Columbia University. Leanna Mulvihill joined NYFC as our Operations Manager. 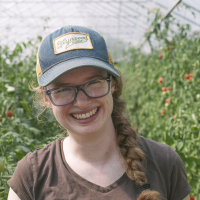 Leanna is a Hudson Valley native and has worked on many different kinds of farm operations throughout the region. When she’s not working at our Hudson headquarters, Leanna is launching Four Legs Farm in New Paltz, NY where she will be raising lamb and pork. Leanna holds a BS in Forest Engineering from SUNY-ESF. Brian Depew is the Executive Director and Director of Policy Advocacy & Outreach at the Center for Rural Affairs. Based in Lyons, Nebraska, Depew leads the Center’s state, regional and national efforts to create vibrant small towns. Depew also serves on the Steering Committee for RE-AMP, a regional coalition of more than 140 organizations and funders working for clean energy and climate solutions. He has appeared widely in the media on rural issues including Des Moines Register, Omaha World Herald, Washington Post Online, Bloomberg News, the New York Times and in many local and regional news outlets. He is a native of rural Iowa where his family still farms. 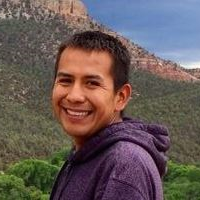 Clayton Harvey is from the Fort Apache Reservation in White River, Arizona where he is the farm manager at Ndee Bikíyaa, The People’s Farm. Ndee Bikíyaa is a 120-acre GAP-certified vegetable and grain operation that sells its products to the local community, schools and other tribal institutions. Ndee Bikíyaa is a social enterprise intended to improve community health by improving access to fresh, healthy food. Clayton has traced his own agricultural heritage back six generations to Chief Alchesay, an Apache chief. 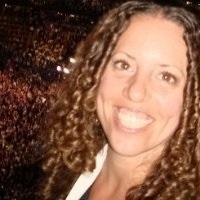 Jacqueline Lewin is Programs Manager for Professional Experience at Yale Sustainable Food Program. She came to the Project from Navdanya, a network of seed-keepers and organic producers in New Delhi, India, where she was an assistant to Dr. Vandana Shiva. 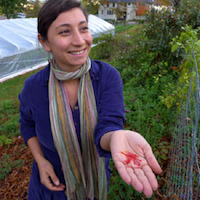 Jacqueline is an Affiliate Member of the New Haven Food Policy Council, A Senior Fellow of the Environmental Leadership Program, and a member of Les Dames d’Escoffier International. Nicole Shore lives in New York City where she is Principal of Zero to Sixty Communications. Nicole is a strategic communications professional with more than 16-year track record spanning public relations, grassroots political organizing and experiential marketing. Nicole previously worked at Edelman, Corporate Social Responsibility and Issues practice where her clients included Fortune 100 Companies like Starbucks and HP; NGO’s such as Environmental Defense Fund and The Kauffman Foundation; and entities focusing on climate change such as Copenhagen’s Climate Congress and Coalition for Rainforest Nations. Mark B. Justh owns of J & D Farms where he farms over 4,000 acres of Certified Organic pasture 35 miles SE of Syracuse in Eaton, NY. He raises Angus beef, pigs, goats, and chickens and harvests 10,000 tons organic hay a year. He is Chairman of Fleisher’s Pasture-Raised Meats and serves on the Board of Odyssey Marine Exploration. Justh previously served for 12 years at JP Morgan, where was a managing director and head of Pan Asian Equities Distribution in Hong Kong. Prior to JP Morgan, he was a partner at a startup fund in the media space, HPJ Media Ventures/DeNovo Capital. Earlier in his career, he was a vice president at Goldman Sachs International in International Equities. 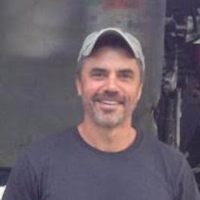 Justh was also honorably discharged from the U.S. Army Reserve as a first lieutenant in the Medical Service Corps. Michel Nischan is a two-time James Beard Foundation award-winning chef with over 30 years of leadership experience advocating for a more sustainable food system. 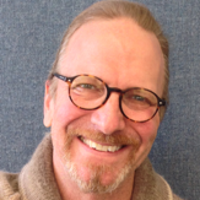 He is Founder, President and CEO of Wholesome Wave, Co-Founder of the Chefs Action Network, as well as Founder and Partner with the late actor Paul Newman of the former Dressing Room Restaurant. He and his Wholesome Wave team were successful at influencing legislative language for the recently passed Federal Farm Bill. He has authored three cookbooks and a variety of articles on sustainable food systems. A lifetime Ashoka fellow, Nischan serves on the board of the Rodale Institute and is a former trustee of the James Beard Foundation, the Amazon Conservation Team, and Harvard University’s Center for Health and the Global Environment. 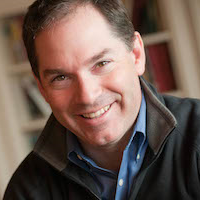 Andrew J. Rotherham is co-founder and partner at Bellwether Education, a national non-profit organization promoting educational innovation and improved outcomes for low-income students. 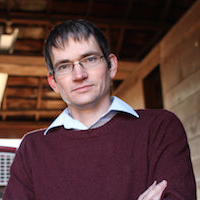 He is also executive editor of Real Clear Education, part of Real Clear Politics news and analysis websites, blogs on Eduwonk.com, and co-publishes “Education Insider,” a federal policy analysis tool. Rotherham previously served at The White House as Special Assistant to the President for Domestic Policy during the Clinton administration and is a former member of the Virginia Board of Education. 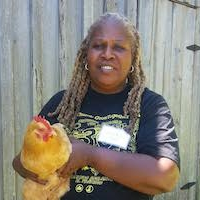 Karen Washington is a farmer and community activist. She is a member of the Board of Directors of Just Food, New York Botanic Garden, and the NYC Community Gardens Coalition. She is also co-founder of Black Urban Growers. In Bronx, NY, she helped found and manage Garden of Happiness and La Familia Verde Community Garden Coalition and Resource Center. She is a frequent public speaker and educator in such forums as Farm School NYC, a program she spearheaded. Washington blogs for Letsgetfarming.com, a site she recently helped launched. She is the recipient of numerous awards including a recent James Beard Foundation Leadership Award (2014), Ebony magazine’s “Power 100” of influential African-Americans (2012) and Woman of Distinction by New York State Senate (2011). « previous article: Land Stewardship Program Releases New Report – "Crop Insurance – How a Safety Net Became a Farm Policy Disaster."